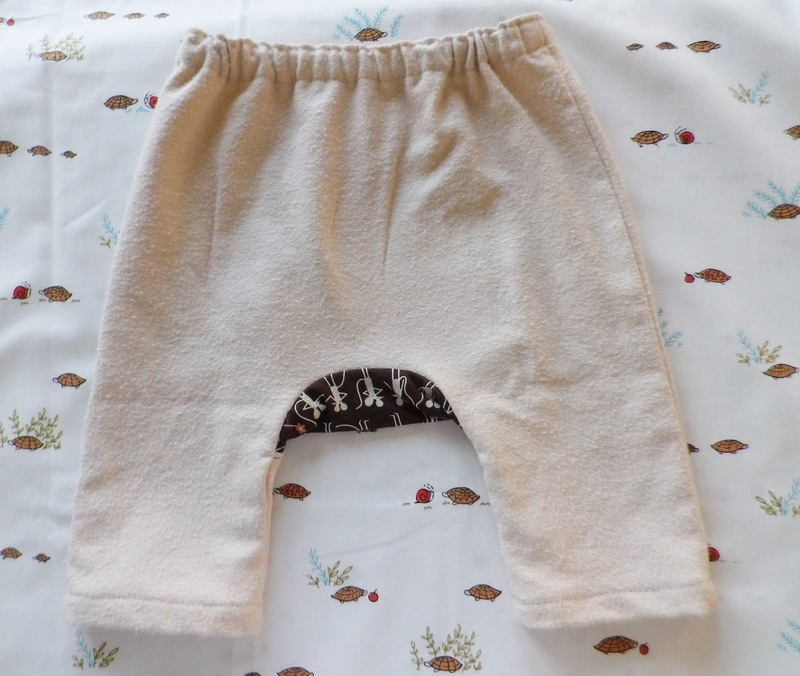 I really think this may have been my first attempt sewing with knits. And it was so satisfying! 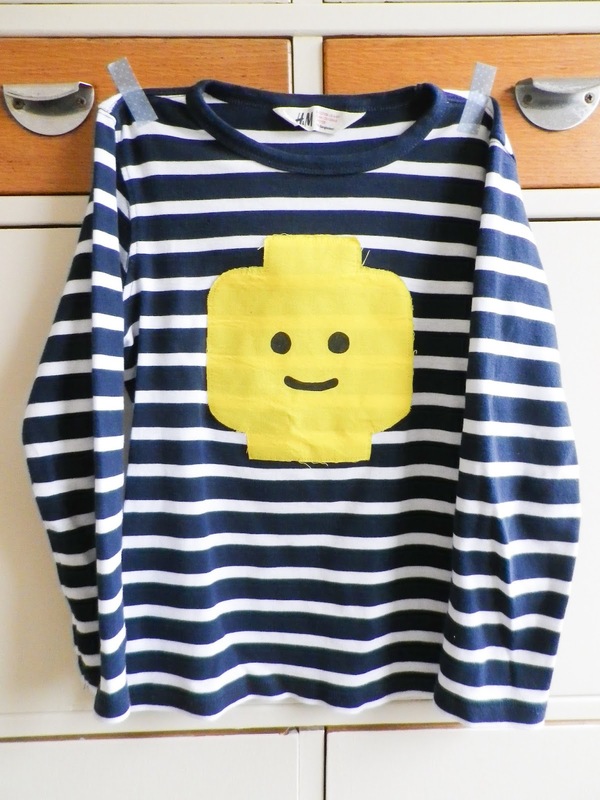 I've been tempted with made by Rae's flashback skinny tee for an age as I love that style of tee on Patch. 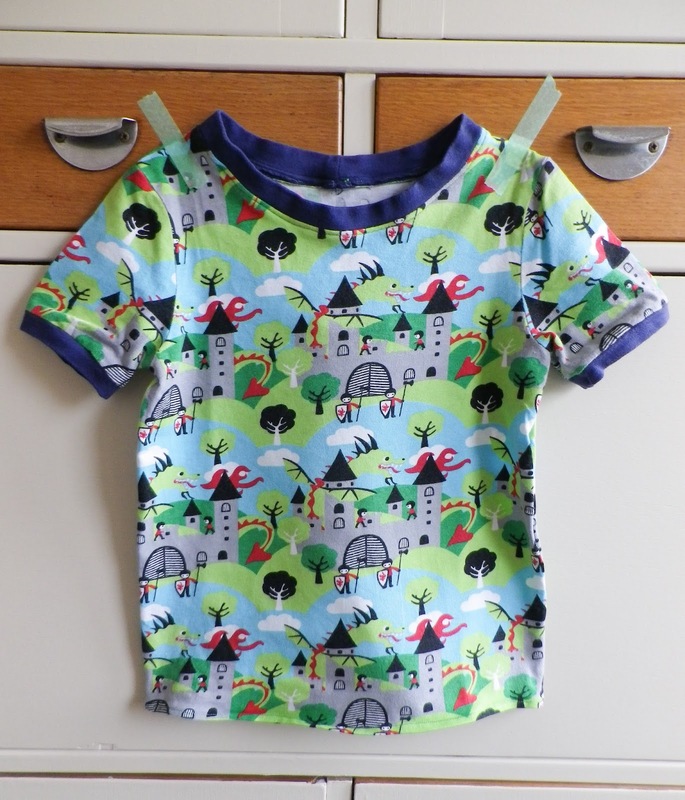 As he has got older it has become more difficult to find fun yet cute prints on tees, and regular visits to the delightful kitschy coo tempted me even more with all those amazing prints! Just before the summer holidays I saw this knightly print - perfect for P who was having fun exploring castles and fairy tales at school. 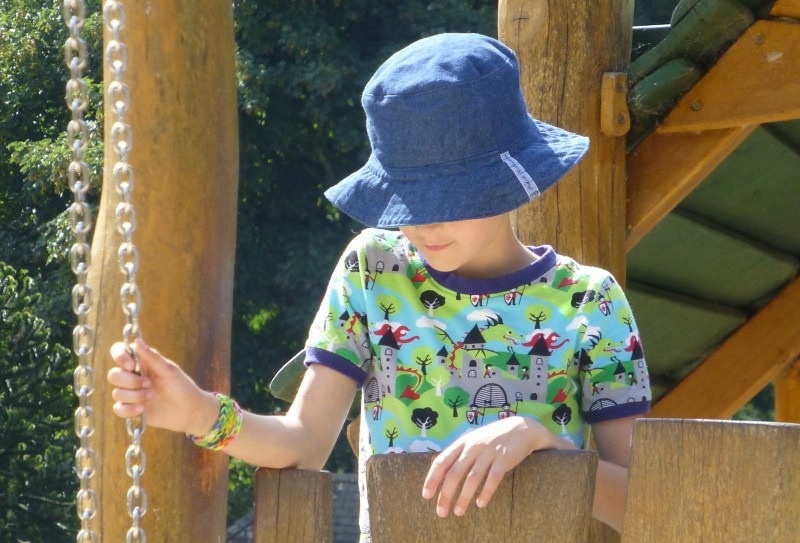 By the time I saw this print there was just one metre available but I didn't let that deter me - these knit fabrics come in generous widths so I convinced myself I could squeeze a tee for a seven year old out of one meter. Finally I purchased the pattern for the flashback skinny tee (a digital download from backstitch) and some navy organic ribbing and set to. This tee was made entirely on my sewing machine with a stretch stitch and a needle suitable for jersey fabric and I was a little unsure how my machine - and I - would cope. Oh my! I was amazed by the this-looks-like-it-came-from-a-shop finish on the seams and neck and arm cuffs. And so with this confidence I decided to add a contrast row of stitching around the neckband, just like some of P's shop bought tees. I shouldn't have. Where I thought this would make the neck sit nice and flat as the stitches caught the seam of the neckband on the inside, it actually stretched the shape and made it look a bit more, well, like I had made it. And then I attempted to stitch a hem rather than have a rolled unfinished hem. 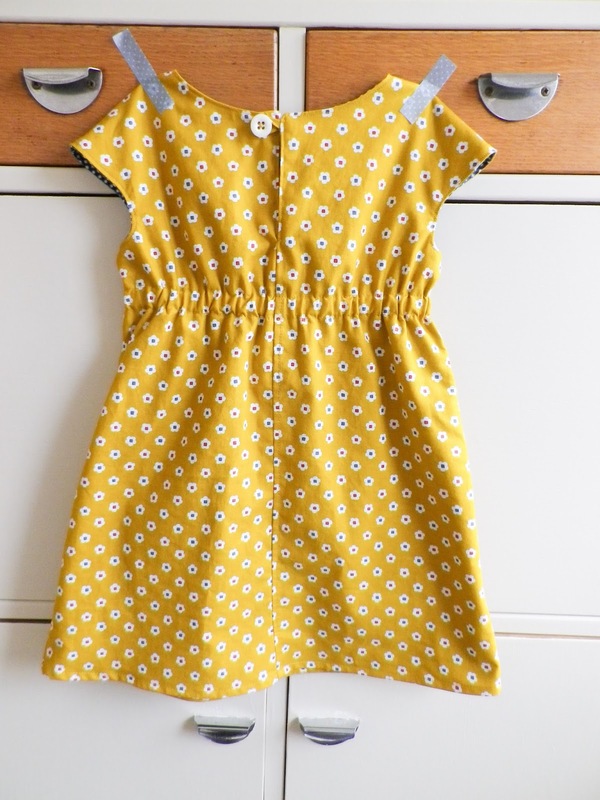 It is possible - just - to squeeze a tee for a seven year old out of one meter of fabric but only with a teeny hem. I think a wider hem may have encouraged the knit fabric to lie flat, but as it is it eagerly flips and rolls up. So really I should have just left the bottom edge unfinished. And yet I'm still happy with this and shall no doubt be making some more. And P? He loves it! My dear friend became Mama to Baby Leo a little earlier than expected, which meant that news of his arrival coincided with wool week. I needed no further encouragement. I found some of Patch's baby clothes to parcel up and wanted to send a little handknit too. 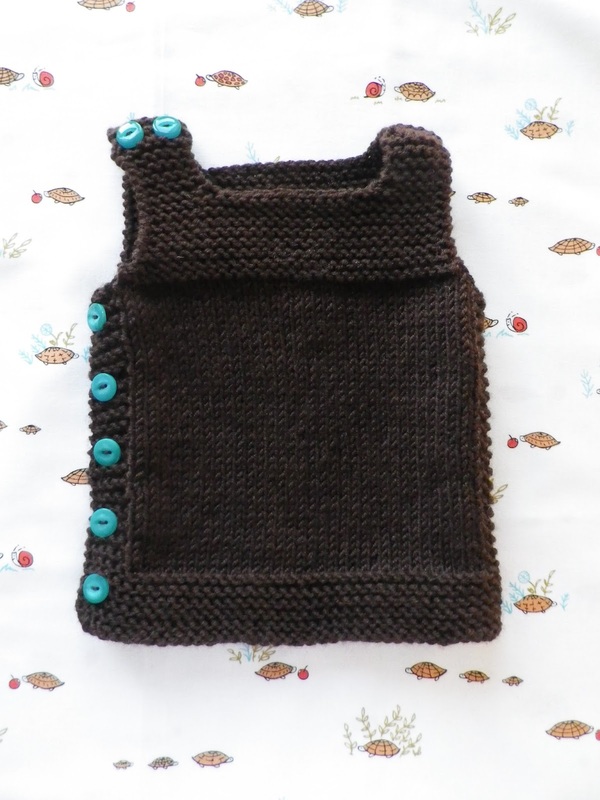 The pebble vest ( a free pattern by the Thrifty Knitter - on Ravelry here) is perfect for premature babies as it is a fairly small knit, though it can easily be made larger by changing the wool and size needle used. And I know last time I said that I would be making a wider bow for any future versions, but here I used some navy velvet ribbon which looks fine on this size 2 dress, though I would still make it wider for the larger sizes. The lining is a navy check - because I felt there wasn't enough print already. I like its busy-ness - I only hope Polly does too. Though at two I'm sure she has little opinion, so let us hope mummy Jo approves. The navy gingham poplin was also from fabric rehab. Finished with a button from Great Gran's tin... Happy birthday, Polly! It has grown. Or stretched. And I think continues to do so with every use. 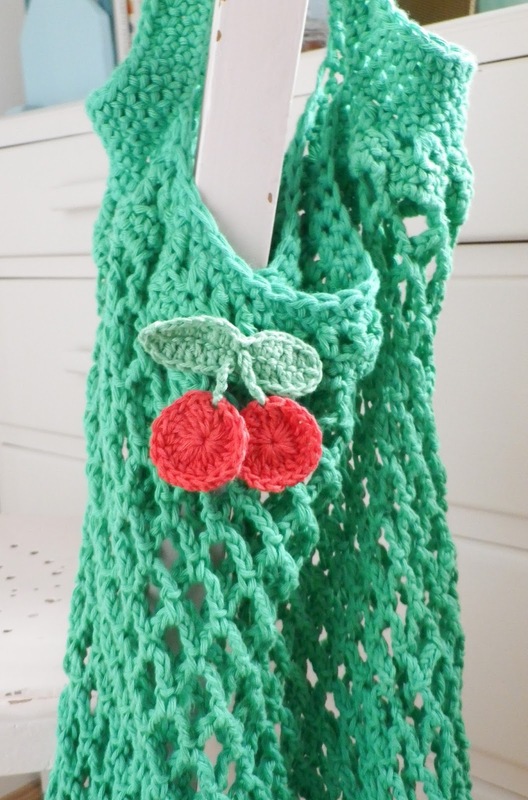 It is another everything & anything crochet string bag from dottie angel's and ted & agnes' granny chic and again I changed the handles so they are wider and longer. And then I made them even longer than the first version and really I shouldn't. I used three balls of Rico design creative cotton aran in light green and it obviously has a lot more stretch to it than the rather sturdy rowan cotton I used first time. 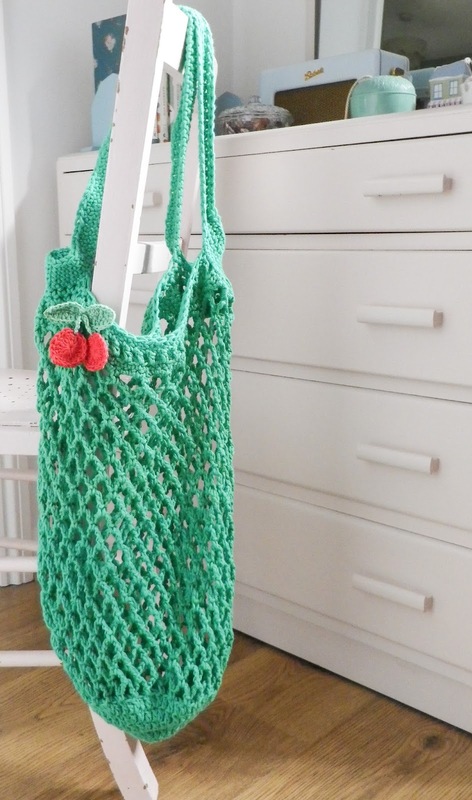 And the second string bag is the free pattern on the classic elite yarn site again - the Provence summer string bag. 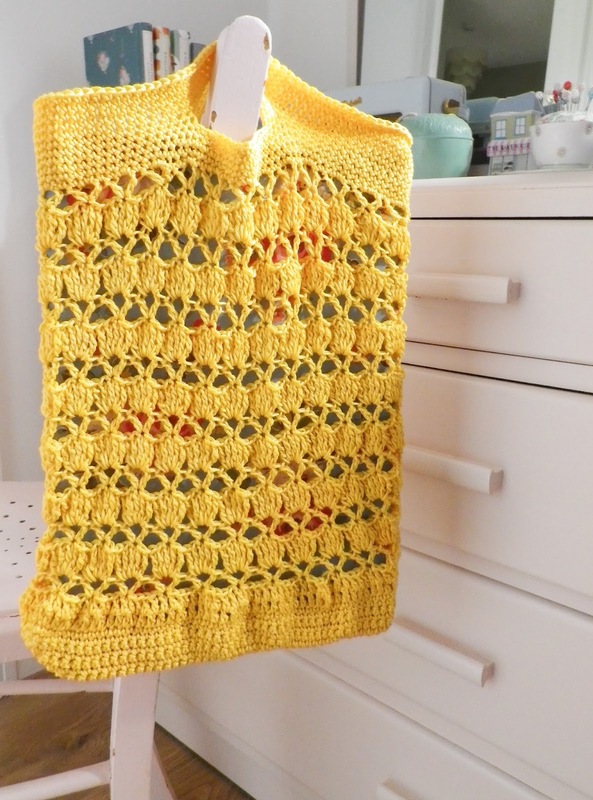 Another summery colour from Rico designs essentials cotton dk - this time banana. Yum. It has been a while since a granny square from Simply Crochet's granny a week has appeared here - they are making a pretty pile as I continue to crochet them. Granny Iris is causing problems. I did think her unsightly shape could be tamed with a severe blocking but no. Granny Iris is refusing to co-operate. As it is still wool week I may excuse myself from the rest of the afternoon and have another go. So hopefully you shall see a Granny here next week. Quite why I can't just skip this Granny and continue to show you some of the others I'm not sure... Happy weekend! Patch loves this t... 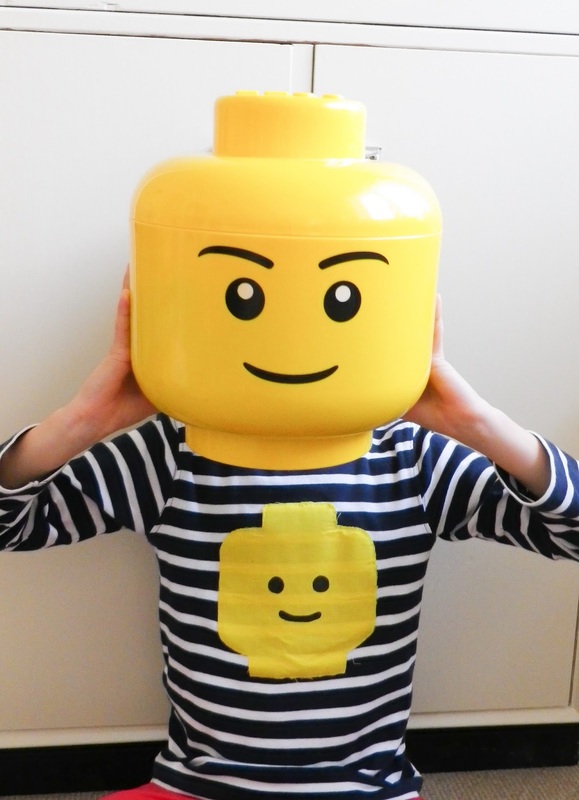 I made it in April for a birthday Legoland treat and it has been worn so much since, and is still looking fine. I drew the head shape onto the yellow fabric, painted the features on and then with the help of bondaweb stuck the head shape onto the t. I then simply edge stitched around the head, so over the months there has been a little fraying of the edges but not much at all. And really this t has been worn a lot! 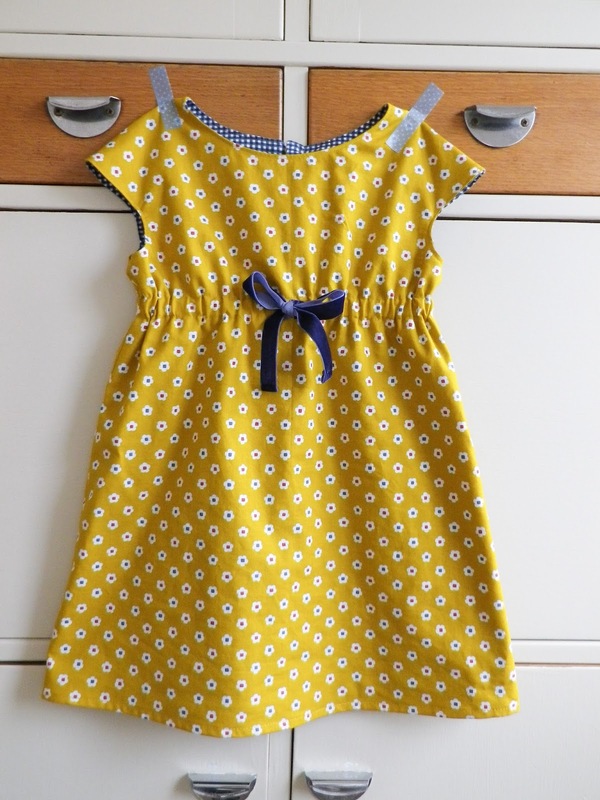 I used Melly Sews easy skirt tutorial with a few changes as last time ( see my first version here). Hmm, yes rather similar as the first skirt as I had more of this pink cord waiting to be used. 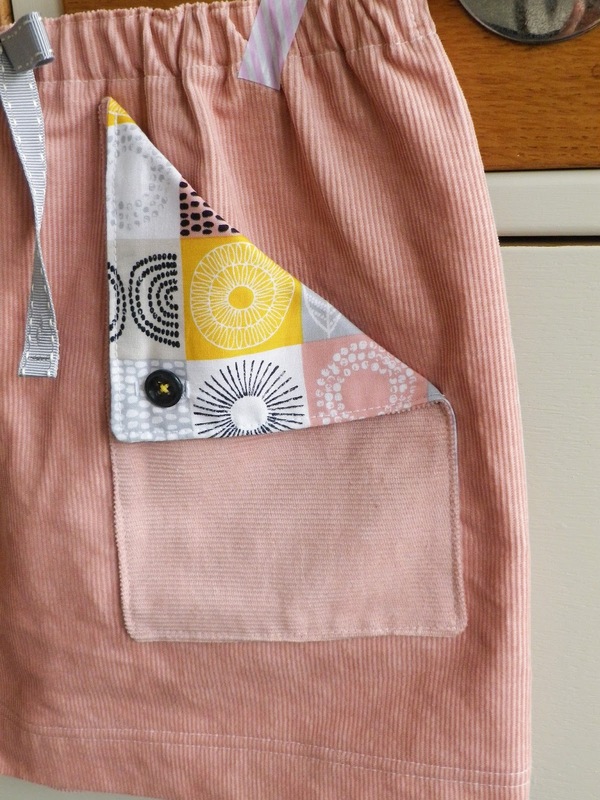 I absolutely love this contrast fabric on the pockets - spring scrapbook from Cloud 9's shape of spring collection in petal pink - purchased on a fun pop to fabric rehab with a friend. 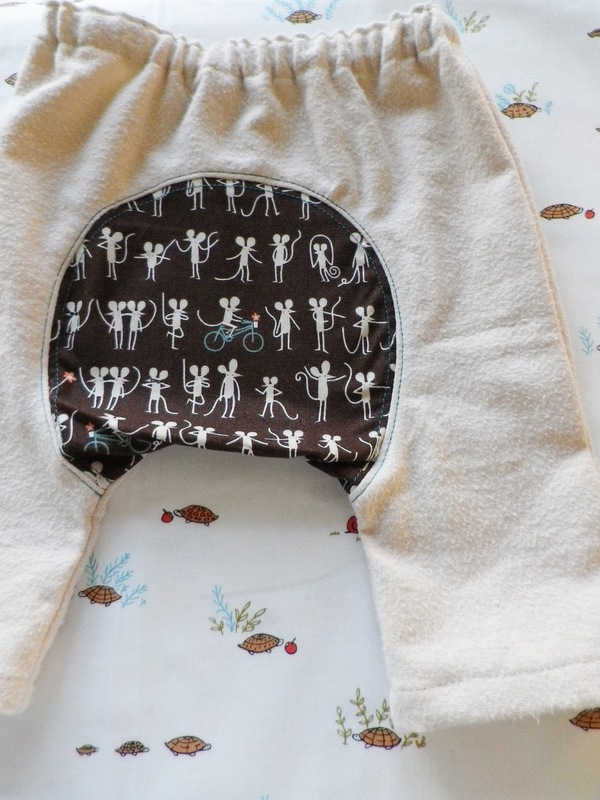 I've ordered from fabric rehab many a time but hadn't made it to their shop. What a mistake as it's so close! Never let me moan about lack of exciting fabric shops near-ish by. I picture this certainly as an autumnal and winter skirt, worn with grey wool cable tights, knitted jumper and a pair of snug boots. 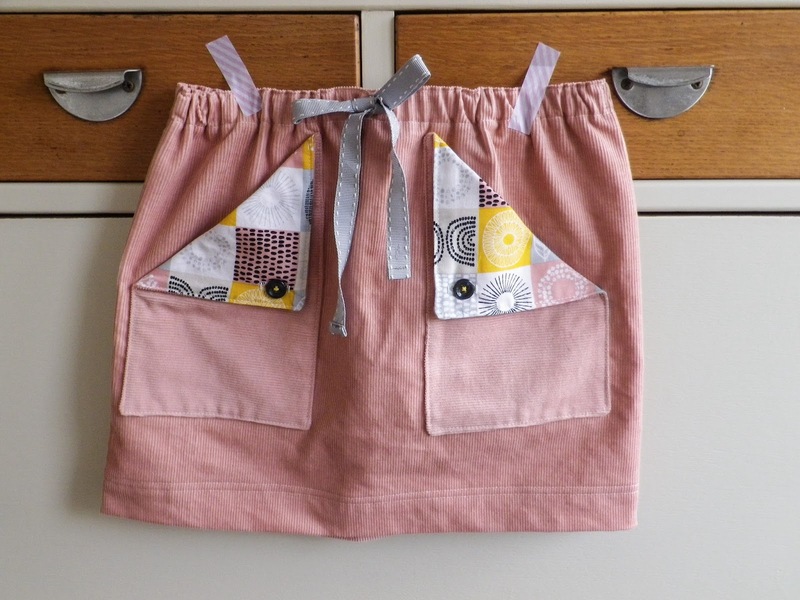 I think there are patterns I would rather use for a lighter weight skirt but I do like this one for cord. Lovingly parcelled up with a Charlie and Lola book for a soon to be four year old. Happy birthday, Isabel!